Can we talk? (figuratively speaking, of course) I don't do New Year's Resolutions, but before the new year began, I told myself, "self, you're not going to buy any of the 2018 Spring releases." However, one week (and three collection purchases) into the year, I'd say my declaration isn't going so well. I've been growing tired on the incessant limited edition collection releases, the purchasing frenzy, and the stress and aggravation they cause when I make my purchases. I would never do a "no-buy," but I want to get off the overly saturated beauty hamster wheel. 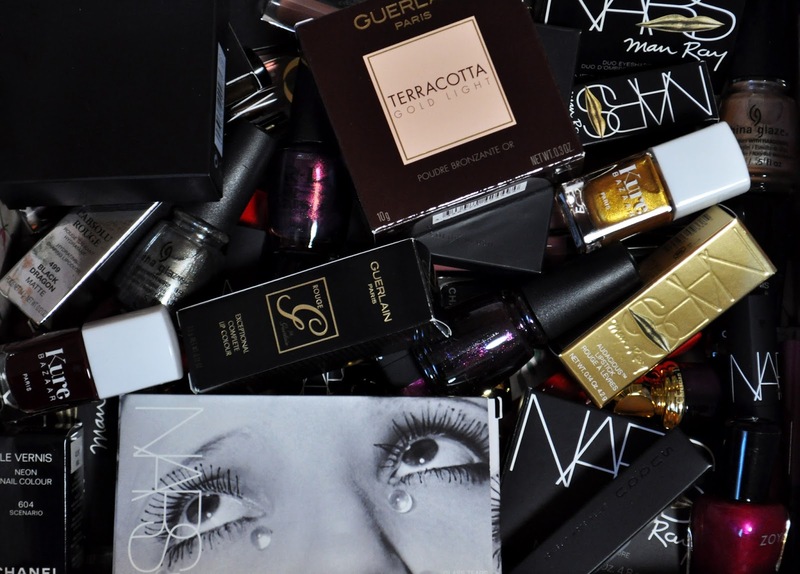 Although I'm always buying beauty products, I don't purchase these items solely for the purpose blogging. Be that as it may, I do want to share them (as well as my thoughts of them) with you. 2017 was an extremely busy year for me, and I blogged less than 5% of my acquisitions; and I'm not satisfied with that. I understand retail is always a season ahead, and Spring collections are already dropping; but we're only 17 days into Winter, and I've posted nothing of my Winter (or Fall) beauty purchases. I noticed Makeup Museum mentioned being in the same predicament on Instagram, and it was comforting to know I'm not alone. So, if you'll bear with me (until March 21st, the official start of spring), instead of putting all these purchases away until their next respective seasons (I have mountains of past collections I've done this to throughout the years), I'm going to post on all (if not must) of my purchases from the last two seasons. Also, I've been trying to catalog all the beauty products I own (in their proper collection entirety when possible) since the inception of the blog. And, what better way to start then with the last two seasons before I put them away in preparations for Spring, and they get swallowed in the beauty abyss that is my collection. I'd love to hear your thoughts on what I just wrote in the comments, thank you. I just did a 6 months of no-buy and gosh it was HARD at first! Personally I think you can blog your acquisitions in any order you enjoy. Pick and choose to blog the items that inspire you. Maybe do a big haul post and then swatch the items that get most comments? I don't really care Winter/Spring seasons when it comes to blogging as those seasons aren't the same around the world. :) Enjoy your blogging, don't stress too much.